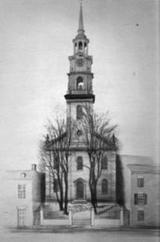 Founded in 1750, First and St. Stephen's United Church of Christ is the second oldest Protestant church in Baltimore. Originally First German Reformed Church, we have changed through the years and have moved with some of the movement of the Baltimore area. 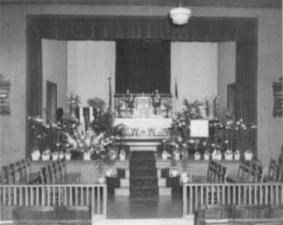 We have started six other congregations including St. Stephen's, which later re-merged and in 1928 moved to the Rodgers Forge/Stoneleigh area as First and Stephen's Reformed Church. In the 1930s, we became First and St. Stephen's Evangelical and Reformed Church. 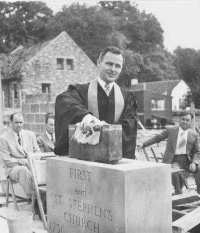 In 1957 with the merger of the Congregational Christian Churches and the Evangelical and Reformed Church, we became First and St. Stephen's United Church of Christ. First and St. Stephen's United Church of Christ is a community of faith that seeks to respond to the Gospel of Jesus Christ in word and deed. The UCC was founded in 1957 as the union of several different Christian traditions: from the beginning of our history, we were a church that affirmed the ideal that Christians did not always have to agree to live together in communion. Our motto - "that they may all be one" - is Jesus' prayer for the unity of the church. The UCC is one of the most diverse Christian Churches in the United States.